We will be holding General Meeting & Training Session on Saturday, February 16, 2019, from 9:00 am to 2:00 pm, which will include announcements of upcoming special events, introductions of new staff and members, and updated search techniques. 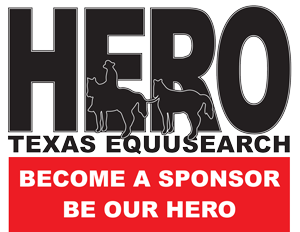 Please remember that all of our members are required to attend at least one training class yearly. 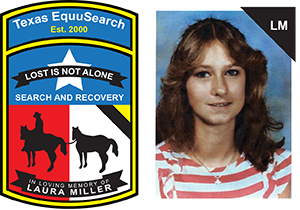 We have had several changes within the organization since our last meeting in August of 2018, so all Texas EquuSearch members are encouraged to attend this event. Please do not bring your ATV or horse; there are separate classes for field training. Refreshments will not be served. There are several fast food businesses near the church, or you may bring a sack lunch. We look forward to seeing everyone there.